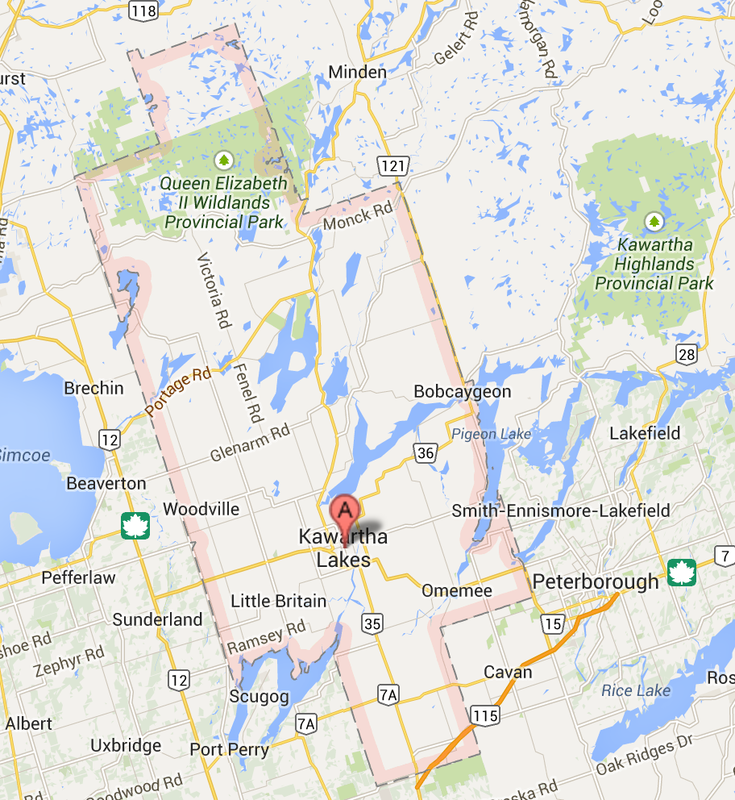 The City of Kawartha Lakes (CKL) covers a land area of 3,067 square kilometres and has over 250 lakes. The County of Simcoe and the District of Muskoka are to the northwest, the County of Haliburton to the northeast, to the east is the County of Peterborough, and on the south and southwest is Durham Region. In addition to the approximately 73,200 permanent residents there is a large seasonal population estimated at 31,000 residents each summer. The City is serviced by Ross Memorial Hospital, located in Lindsay. CKL is part of the Trillium Lakelands District School Board and Peterborough Victoria Northumberland and Clarington Catholic (PVNCC) District School Board. The City also has one OPP Detachment and one city police service. Because of the largely rural composition of the City of Kawartha Lakes, there is limited public transportation. City of Kawartha Lakes has public bus transit in the town of Lindsay only (known as Lindsay Transit), running three lines of hourly service. The economic base of Kawartha Lakes reflects a diversified economy, which includes: agriculture, manufacturing, construction, retail trade, finance and real estate, tourism, educational services and other public sector jobs. Kawartha Lakes is a single-tier municipality, governed by City Council consisting of the Mayor and one councillor from each of the City’s wards.